If you have never been to an eye doctor, you may be a bit nervous. After all, if you have had excellent vision and now need contacts or glasses, or if you are experiencing problems that may require eye surgery, the process can be intimidating at times. However, like visiting a primary care physician, your visit to the eye doctor can go very smoothly by preparing ahead of time. If you have an upcoming eye exam on your schedule, here is everything you need to know before you arrive at the doctor’s office. Before your eye exam, make sure you take stock of your current vision and any problems you may be experiencing. For example, if you are having such problems as blurry vision or poor night vision, be sure to let your doctor know. Along with this, take note of times when these problems occur, such as when driving. Also, if you have any health issues or are currently being treated for an illness or condition, let your eye doctor know this as well. If possible, try to bring a family member or friend with you to your eye exam. Not only can they be helpful in keeping your nerves under control, but it is also likely you will have your pupils dilated during your eye exam. When this happens, you will probably be unable to drive home in a safe manner. Therefore, rather than have more stress to deal with once your pupils are dilated, have someone with you to lend a helping hand. When many people schedule an eye exam, they are unaware their eye doctor will want to know not only their medical history, but that of their family as well. For example, if there is a family history of diabetes, glaucoma, cataracts, or other problems associated with vision, make sure you put this down on the forms provided you. In addition, also bring a list of current medications you may be taking, both prescription and over-the-counter. In some instances, your eye doctor may determine a medication you are taking may be affecting your vision, so don’t overlook this important detail. 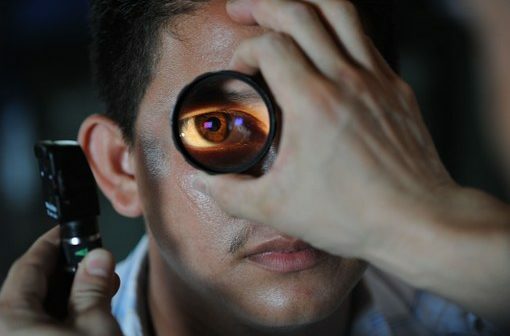 If you have health insurance, it probably has certain benefits pertaining to vision exams. Depending on the type of coverage you have, your insurance may pay for part or all of the costs associated with your exam. Along with this, if it is determined you need glasses or contact lenses, your insurance may pay for this as well. Therefore, always know what benefits you are entitled to before your exam, and also don’t forget to bring your insurance card and other pertinent information with you to your visit. When you go for your eye exam, be prepared to undergo a series of tests. If this makes you nervous, the good news is that none of these tests are painful, and most are over within a matter of minutes. Some of the most common tests to expect include visual acuity, which is better known as simply reading the eye chart. Along with this, your eye doctor will also perform various tests regarding eye movement, depth perception, and more specialized tests that will examine the inside of your eye. Using a specialized microscope called a slit lamp, your doctor will be able to examine the inner structure of your eye, which can let them determine the health of your retina, cornea, and optic nerve. Finally, your doctor will test you for glaucoma by measuring the pressure in each eye. While some doctors use the “puff of air” test for this, more and more now use more advanced techniques. In any case, it is painless and over in a matter of seconds, and can be important in determining the health of your eyes. By taking some time a few days ahead of your eye exam to gather information, review your insurance information, line up a friend or family member to go with you, and learn about the various tests involved during the exam, you will be able to relax and get the most out of your visit.